If you think you have seen everything here at the Lake of the Ozarks, but you have not yet climbed the observation tower in Thunder Mountain Park, then we've got an amazing lake view in store for you. This bird's-eye-view of the entire park, as well as the gorgeous lake, is a site that no one visiting our Lake of the Ozarks scenic attraction should miss. The observation tower at the top of Thunder Mountain is operated by the Missouri Department of Conservation and completely open to the public. This fire tower is 100-feet tall, with a viewing platform at 80-feet. The History of Missouri's Fire TowersDue to the abundance of forests in Missouri, the state began putting up these fire towers on ridges and hilltops. They allowed people to see for miles, keeping a lookout for lines of smoke that would indicate a forest fire. These wooden fire towers began going up as early as 1927 in state parks, but there were not a lot of them. Every week we share the wonders and beauty of our scenic Lake of the Ozarks attraction with you in our words. This week, we decided to show you Bridal Cave through the experiences that a few of our visitors shared on different review platforms about us. Here is what they had to say. 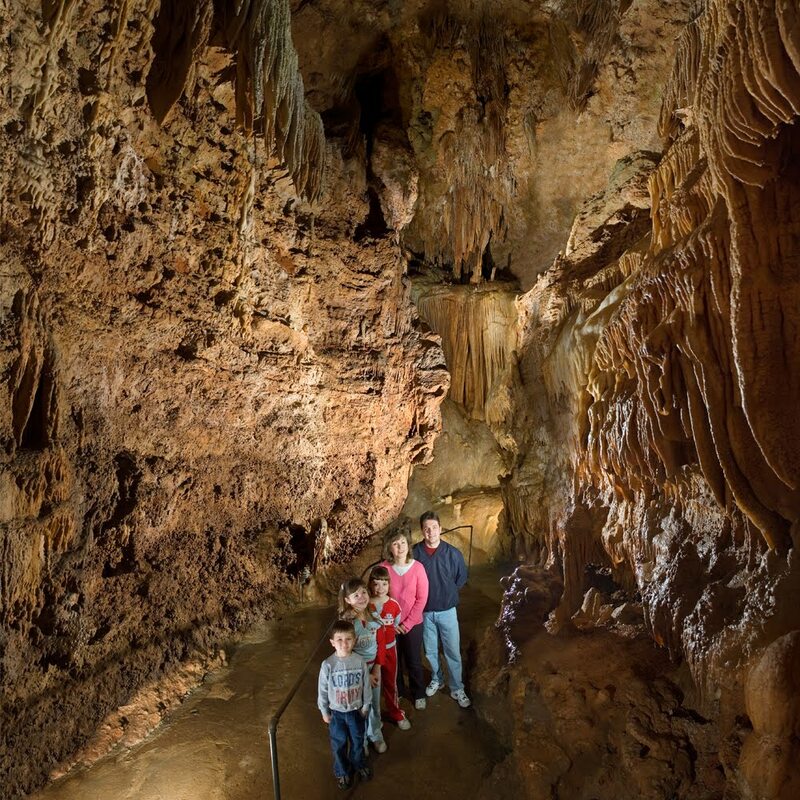 ~Dexter G., Facebook review "My wife and took our first tour of this Cave today and absolutely loved it. Our guide was a young lady, she was very knowledgeable and funny. While this was our first tour of the place we have been to the park several times and I will tell you that they have the nicest employees of anyplace I have ever been." "What a beautiful place to explore and see the wonderful sights that nature has to offer!" 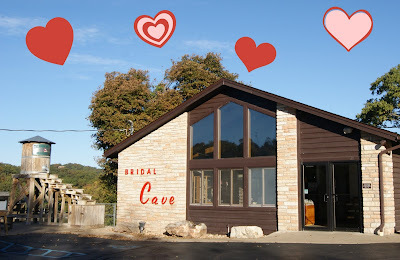 ~Cindy N., TripAdvisor review "Bridal Cave is a beautiful spot! Great examples of geologic wonders. Our tour guide was very knowledgeable and fun! We took a family member just in from Turkey. He thought it was a fantastic tour!" The New Gardens at Thunder Mountain Park Are Complete! A couple of month's ago we wrote about the beautiful new improvements that were in the works for Thunder Mountain Park this spring. Well, we did it! The brand new botanical gardens and waterfall at our Lake of the Ozarks natural attraction are amazing, and they are ready for you to come by and take a look. The beginnings of this new landscaping project started last October with the removal of old plants and some dirt work. This was all in preparation for the addition of a dazzling waterfall. This new park feature has been highly anticipated by our staff and the many park visitors that witnessed the work in progress. We are all so excited that the wait is finally over. When you visit our Lake of the Ozarks family attraction, the memories that you take home with you will be treasured forever. In addition to those memories, you may want to take home a physical souvenir to remember the day by too. Our Bridal Cave gift shop is filled with many unique and amazing items. One extremely fun one that you can not only purchase, but actually make yourself, is a geode. 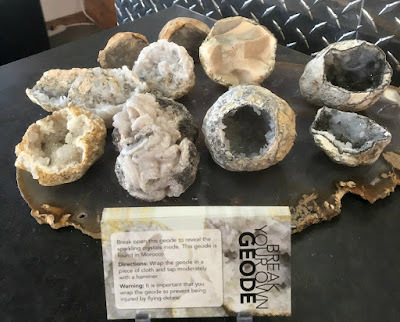 What is a geode?The name geode is derived from the Greek word Geoides which means earthlike. They are mysterious, spherical rocks. We say mysterious because geologists have long debated just how they are formed. These round rocks have a hollow cavity in the center that may or may not contain crystals. If yours turns out to be solid, it is called a nodule.